She plays the tuba with her nose. 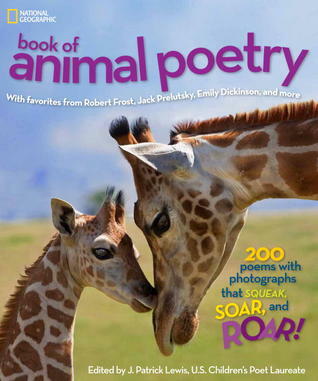 J. Patrick Lewis, current Children’s Poet Laureate, has compiled a must-have collection of 200 animal poems “With favorites from Robert Frost, Jack Prelutsky, Emily Dickinson and more.” Every page in this coffee table-sized book has stunning National Geographic photography and one or more poems about the featured animal. Browse this beautiful book, or search by title, poet, first line, or subject in the indices. Resources also include tips for writing different forms of poetry, and a bibliography of a variety of children’s poetry books organized by poetry form. 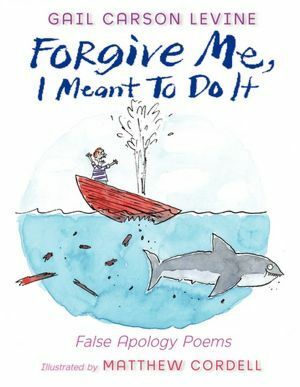 The poems are smart and punny – a ready-set-go mentor text that invites readers to try a false apology of their own! 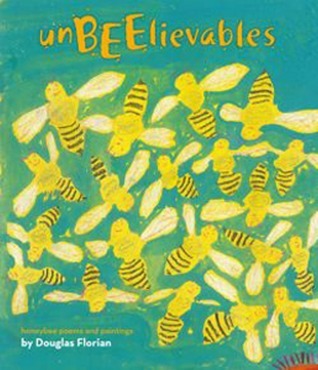 Douglas Florian pairs poems featuring his trademark rhyming wordplay with paragraphs of information about honeybees (and whimsical paintings) in an collection that entertains and educates in equal measures. From a welcome to the hive through a wondering about the demise of honeybees, Florian gives readers a complete tour of a honeybee’s world. 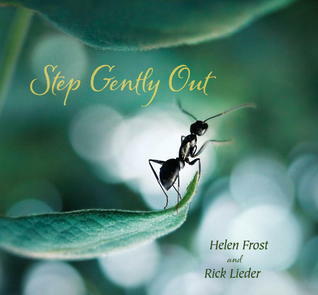 This picturebook-length poem, dazzlingly illustrated by Rick Lieder’s photographs of insects, encourages the reader to “Step gently out, / be still, / and watch / a single glade / of grass.” Guided by Helen Frost’s words, we are still, we look, we listen, and we remember to appreciate all of the creatures that share the world. Matthew Shepard was a gay twenty-one-year-old University of Wyoming student who was savagely beaten, tied to a fence, and left to die on October 6, 1998. 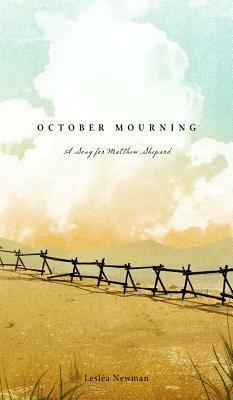 This cycle of sixty-eight poems (for readers in middle school and up) explores the events of that October night from a variety of points of view — the fence, the killers, Matthew Shepard’s mother, the truck, the road, the moon, the deer who was found lying near Matthew when the sheriff arrived at the scene, and more. Each poem includes an epigraph, which is explained with notes at the end of the book. Also included are an explanation of the variety of poetic forms used, and a variety of resources for deeper understanding of Matthew Shepard’s story, plus LGBTQ and human rights issues. 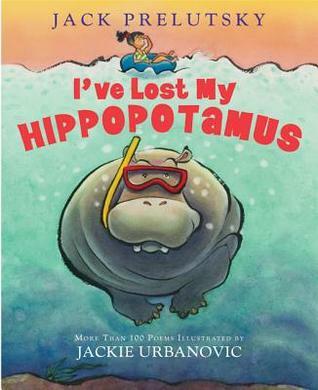 This is not an easy book to read, but it is an important story told with compassion and honesty. Mary Lee Hahn teaches 5th grade Language Arts in Dublin, Ohio. When it comes to poetry, she really earns her Nerdy Book Club wings: she has a collection of US Poet Laureate and Children’s Poet Laureate signatures. You can find her blogging at http://readingyear.blogspot.com and on Twitter as @MaryLeeHahn. I was wondering what would rise to the top. These look wonderful. I know two of them – False Apologies and National Geographic, and they are both wonderful. I need to find the rest and read them! These are great selections that I’m eager to use and share by dangling these new books from our school library’s “Poet-tree” branches. But I was surprised not to see my own favorite for the year “Edgar Allen Poe’s Pie” by J. Patrick Lewis and Michael Slack. With poetic tongue in cheek Lewis’ literary references are a great “grab this” resource for making the most of a few spare moments for math and poetry. What wonderful selections. Sadly, I’ve only read one. Need to find the other titles to check out. Wonderful choices…Step Gently Out is new to me, so thank you! These are great picks! Like Gigi, I’ve only read the one from Florian. I must get my hands on the others. Wow, thank you! I’m honored by the company, and delighted by the honor! I’m thrilled and honored! And to be in such stellar company. Thank you from the bottom of my nerdy, book-loving heart. A Nerdy is a good thing, right? Then it’s a pleasure to be aboard. A billifitastical New Year to you, Mary Lee. Looking forward to reading these. Poetry is a gap for me, one that I intend to fill this year.